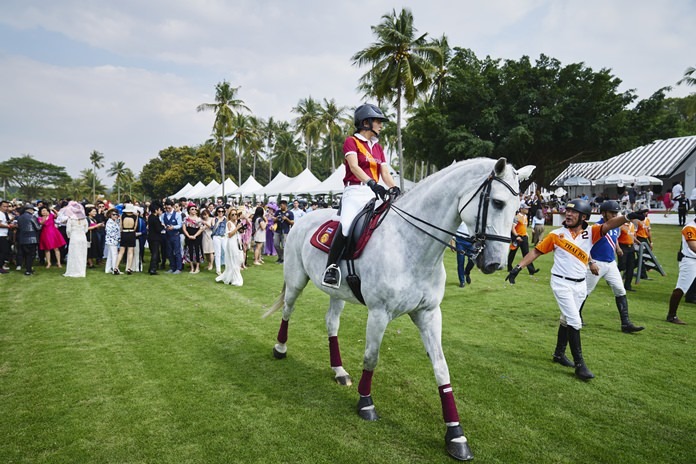 Her Royal Highness Princess Sirivannavari Nariratana demonstrates her equestrian skills prior to the final match. Her Royal Highness Princess Sirivannavari Nariratana was guest of honour on finals day at the 2018 Carrier – B.Grimm Thai Polo Open, held January 20 at the Thai Polo & Equestrian Club in East Pattaya. 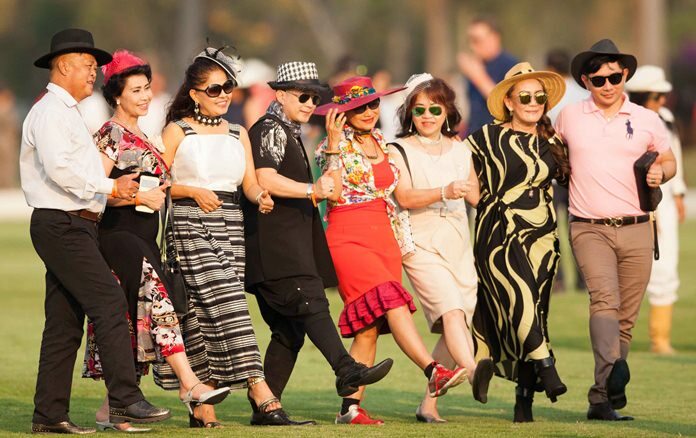 A cornucopia of horse lovers, VIPs, celebrities and socialites dressed to impress as they arrived in large numbers to support this annual event that helps raise funds for H.R.H. Princess Maha Chakri Sirindhorn’s Chitralada Vocational School project. The day started with a delicious buffet lunch, with Harald Link and Nunthinee Tanner, owners of the Thai Polo Club, and their staff working overtime to make sure everything was in order for guests. A show jumping exhibition provided pre-match entertainment and highlighted the talent of the Thai equestrian team while guests also amused themselves in the sponsors’ tented village and children enjoyed the complementary pony rides. 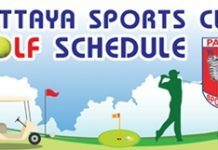 The Thai Polo Open is the most important tournament in South East Asia and drew international players from all four corners of the polo world to compete. The competition featured six 12-goal teams, which over the preceding week were whittled down to just four by finals day. In the opening game, a third place play-off, La Familia ran out 9-5 against Fast Fish before the stage was set for this year’s championship match. This proved to be a gripping contest between Axus and Royal Pahang of Malaysia. No quarter was given by either team but Royal Pahang displayed greater resolve and skills on the day to take victory by a score of 6 goals to 4.5, securing their first Thai Polo Open title in the process. Music provided by the Bangkok Symphony Orchestra played into the night as guests and players enjoyed the post presentation cocktail party. 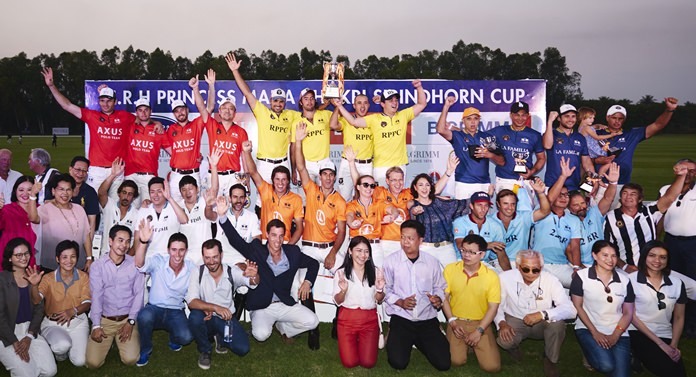 Royal Pahang of Malaysia (centre rear) hold the trophy as they pose with competing teams and supporters at the conclusion of the 2018 Carrier – B.Grimm Thai Polo Open, January 20 at the Thai Polo & Equestrian Club. 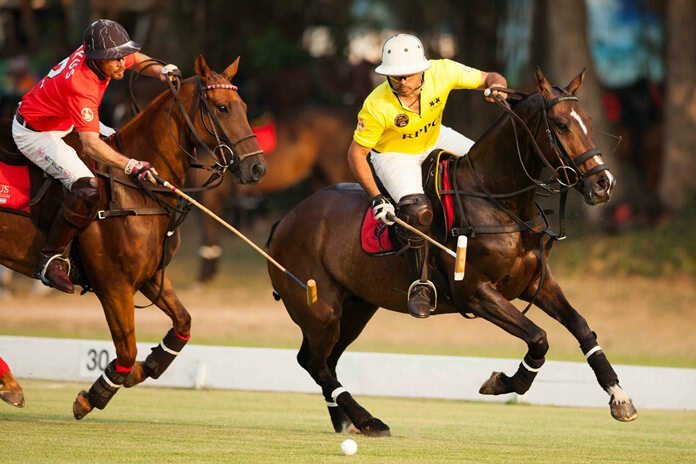 Axus and Royal Pahang do battle in the final of the Thai Polo Open. Spectators perform the traditional stomping of divots.